According to official statistics, over 200,00 new homes were added to the housing stock in England last year, a figure revealed shortly after Prime Minister Theresa May committed to making the housing shortage a priority and pledging to provide tens of thousands more homes in the coming years. The Prime Minister stated that “ I have made it my mission to build the homes the country needs and take personal charge of the Government’s response. 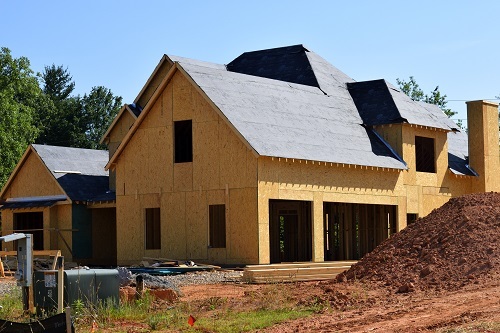 The statistics showed an overall amount of 217,350 new homes throughout the country. The majority of these homes were new builds, totalling at 183,570, and the second most common type of new home were the 37,190 commercial buildings that were converted to residential properties. England also saw 5,680 conversions between houses and flats, but the overall number of new homes was reduced slightly as 10,000 homes needed to be demolished. The number of new homes built over the last year is up 27,700 (15%) when compared to the previous and is the highest number of new homes built since before the 2008 financial crisis, which saw 223,530 new homes. While this is a step in the right direction and eases the pressure of rising demand for housing, some property experts believe that the country needs 250,000 new homes per year to tackle the current shortage of homes.